Dr. Ignace Debruyne works as an independent consultant specialized in Soyfoods and Soy product technology, Soy & Health communication and marketing, Market and Trade research, Oil Processing, Biodiesel and Bioenergy market support. 1971-1983: PhD in protein biochemistry and enzymology at Ghent University (1977); postdoctoral research on interesterification, enzyme kinetics, and biochemical analysis. 1983 to 1997: Section Head at the Central R&D Laboratory of the Vandemoortele Group. Research on soymilk, soy processing (dehulling; extraction; lecithin; soy protein ingredients), bakery products (frozen dough; bread improvers; wheat flour), food and feed science and technology;European Food Legislation development & biotechnology follow-up within CIAA, the European Food and Drink Industry Confederation; independent expert for the European Commission and Belgian and international research programs. 1998-2005: Technical Marketing Consultant for ASA-IM Europe: projects on soybean crushing and soybean oil refining and processing for Europe, Turkey and North Africa; biotechnology; soybean marketing; Identity Preserved soybean supply for the European and South East Asian food industry; Soy, Health & Nutrition with relation to the production of soyfoods and soy protein ingredients; soybean oil introduction and use in biodiesel. Since 2000: Founder of and active partner in Soy Conference and Health Claims Europe: Soy Conference manages the Soy & Health Conference, Soy & Strategic Marketing Symposium and the Soy & Health e-Magazine, Health Claims Europe manages the Interactive workshops Nutrition & Health Claims Europe (with spin-off program in Japan), the workshops on Nutrients and Food Supplements Regulatory Issues and the Interactive training session on Marketing Nutrition. 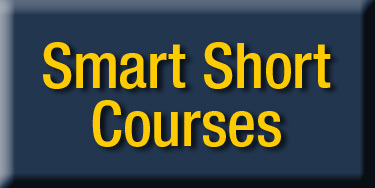 Since 2003: Founder of and active partner in Smart Short Courses with programs around the world on Aquaculture Feed, Snackfoods, Soyfoods, Functional Beverages and BioActives, Functional and Specialty Oils & Fats, Advanced Oil Processing, Industrial Oil Applications, including Biodiesel, Omega-3s and Applications, Algae Downstream Processing Technology (www.smartshortcourses.com). Since 2004: Development of the Biodiesel Cost Optimizer software for the Biodiesel and Petrol industry. Since 2010: Development under Health Claims Europe of policy and marketing communication programs focusing on major themes such as the Omega-3s Summits (www.omega3summit.org), and Probiotics Summit (www.probiotics-summit.eu). Plant audit and product development support.